Three cases of fracture of the zygomatico-maxillary complex. 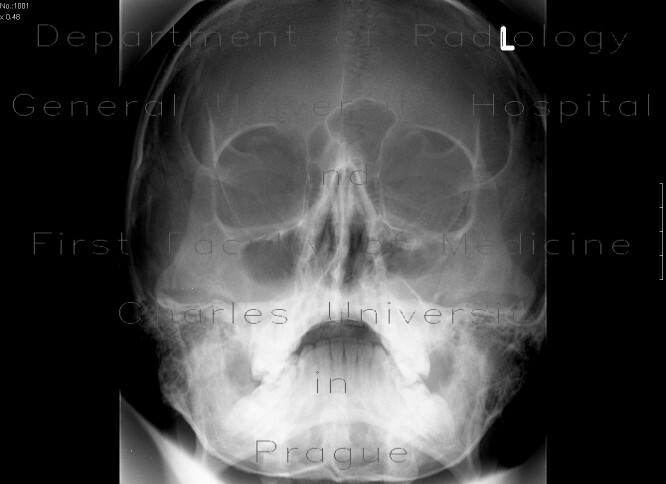 They present with hemosinus - decreased transparency of the maxillary sinus with or without fluid level, later when coagulum retracts, it gives an appearance of thickened lining. Special care must be taken to examine the floor of orbita and exclude herniation its contents.